You’ve launched your church and your trying to grow it. Now what? How do you continue to lead in ways that advance your church’s vision and mission? Most of us do so much training on the front side of our careers or ministry, but get isolated and stagnated once we start! The key to continued organizational or ministry growth is continued personal leadership growth. Today’s churches need secure leaders to lead God’s Church where He wants to take it. Digital Access Pass gives you access to download the content from all 5 main sessions of the Leadership Tensions Forum from Exponential West 2014. This includes the TED-style talks by the 5 different speakers and the entire dialogue which followed. Digital Access Pass videos will be available for one year after purchase. 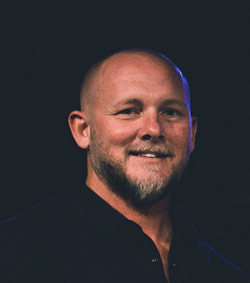 Shawn Lovejoy is the founding and lead pastor of Mountain Lake Church, the directional leader of churchplanters.com and the author of The Measure of Our Success: An Impassioned Plea to Pastors, released in April 2012. God has used Mountain Lake Church and churchplanters.com to become one of the most influential church planting ministries in the world, and Shawn gives Jesus all the credit. Shawn loves his wife, his kids, the church, pastors, college football and PlayStation3. In that order. He lives near Atlanta. 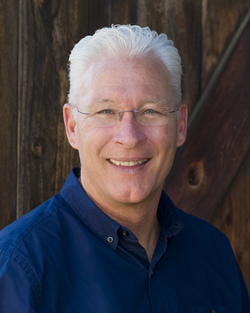 Larry Walkemeyer serves as the lead pastor of Light & Life Christian Fellowship in Long Beach, Califoria. Starting with a handful of committed “white folks,” the church has grown into a large missional, multi-ethnic church in a tough urban neighborhood. A priority on local and global church planting has led to the start of 18 churches nationally and church networks in Ethiopia, Philippines and Indonesia. 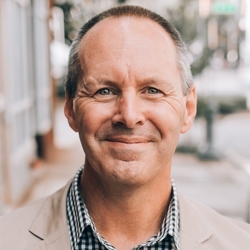 Walkemeyer is a frequent international speaker to church and business leaders and has co-authored 15 Characteristics of Effective Pastors and A Good Walk Home and the eBook Led: Going With the Spirit. Azusa Pacific University has recognized Larry with the Centennial Award, naming him one of the most influential graduates during its first 100 years. 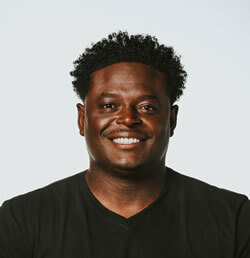 Derwin Gray is the founding and lead pastor of a multi-ethnic, multi-generational, mission-shaped community with two campuses in South Carolina, both just south of Charlotte, North Carolina. Transformation Church was recognized as the second fastest-growing church by percentage in America for 2010 by Outreach magazine. In 2011 and 2012, the church was again recognized again as one of the top 100 fastest-growing churches in America.After graduating from Brigham Young University, Derwin played professional football in the NFL for five years where he accepted Jesus. After the NFL, he graduated from Southern Evangelical Seminary. Derwin is the author of Hero: Unleashing God’s Power in a Man’s Heart and Limitless Life: You Are More Than Your Past When God Holds Your Future, released September 2013. Derwin and his wife, Vicki, have been married for 21 years with two children, Presley and Jeremiah. 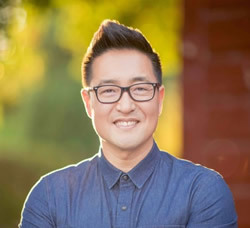 Ryan Kwon is the lead pastor of Resonate Church in Fremont, California. Born and raised in Los Angeles, Ryan felt God calling him to the San Francisco Bay area to plant a church that would transform a city spiritually and socially in one of the most unchurched cities in America. In the last four years, Ryan has been witness to many miraculous gospel transformations. Through God’s grace alone, Resonate has become a gathering with great ethnic diversity and has grown to over 1,000 people while baptizing hundreds of new believers along the way. Ryan and his wife Jenni have three children: Caden, Brennan, and Ella. In his past life, he thrived as a competitive eater. Currently, he enjoys reading, fly fishing and watching college football and MMA. You can follow Ryan on Twitter @RyanKKwon, enjoy his photo streams on Instagram @RyanKKwon, or become his friend on Facebook. You’ll get an “up-close and personal” learning experience with pastors who have planted their churches and continue to wrestle with the key tensions of leading a church plant. Each leader in this group gets it! They’re passionate about giving pastors permission and empowering them to do what it takes to lead a church that makes disciples, transforms the community around it and changes the way people think about Jesus and His Church. For those inevitable times when you feel you aren’t making a difference or that things aren’t moving ahead like you thought they would, or when you’re wondering if all that God has placed in your hands and hearts will happen, the insights, stories and overall learning experience this Forum can be future sustenance for you and your team. Learn with these leaders as they walk with you through key areas where church leaders struggle the most post-launch. Vision: Most church planters get sidetracked form their visions within the first few years. Sticking to the vision takes extraordinary discipline and effort. How do you relentlessly stay true to the vision, protect if from vision hijackers, and weave the vision into every layer of your church. If people around you don’t know where you’re trying to take them, they will have a hard time making the journey. Discipleship: How do you develop a culture of discipleship in your church? What systems do you need to be build to make discipleship part of your DNA? Boundaries: How do you develop boundaries for a healthy church, a healthy family and a healthy personal life? Team: How do you build a leadership pipeline? How do you know if you have the right people? In the right seats? How do you move people into the right seats or move them off the bus? The right team members with the right gifts and skills, in the right seats, in the right seasons of the church, allow a church to continue to breathe and grow and reach people for Jesus Christ. The wrong team members in the wrong seats for too long will put a lid on your church’s effectiveness. Resources: How do you deal with the tensions of self-sufficiency and growth? How will you finance the mission? How can you and your church make a greater impact and become more generous–and lead every person around you to do the same? Every mission requires resources. As the leader of the mission, you are the chief resource raiser. God is counting on you to rally His people around His mission. For those inevitable times when you feel you aren’t making a difference or that things aren’t moving ahead like you thought they would, or when you’re wondering if all that God has placed in your hands and hearts will happen, the insights, stories and overall learning experience this Forum promises will be future sustenance for you and your team. Come learn with these leaders as they walk with you through key areas where church leaders struggle the most post-launch.